"All aboard the Groove Line"
Just launched the new website, djptchblaq.com. Updating the DJ calendar. I closed on 2 events during this weekend. I'm working on other events that should be closed on soon. Working on some ideas in the studio. I'm feeling Pop and Rock tracks. Party people I have a tip for you. Do not eat Twizzlers followed by an hour of Insanity workout........... I'm cold, nauseated and sore. I won't be down for long. Y'all take care! Currently working on a mix track. I made some promising connections last weekend. One month of vacation now it's time to get back to work. I'm getting ready for tomorrow evening's wedding. I can't wait! I have a few weeks after tonight for my next event back to back; Friday a college formal and Saturday a wedding. I had a great time at the wedding last night! The crowd was hyped and charged! Everyone was wonderful! Getting ready to rock the collage campus tonight. Show time starts at 7pm. Only a few open dates for 2017 bookings. Book now to reserve your date. My last two weddings were very successful! It's always a joy working with clients and sharing my love for music. A few weeks brake in between my next event. I have the privilege to DJ a 40th B-Day party; it's going to be a great welcome into the 40 Club! On my way to DJ a wedding on 5 Aug 2017 my GPS quit working. While trying to get to the event to setup I went in circles for a few hours. I finally made it to the town but had no idea of which way to turn. I pulled over to make a call to the event hall but my phone signal was too bad to get through. I'm in the country pulled over on the road. I tried to hail down someone who could possibly point me in the right direction. 4 vehicles passed by without stopping. 1 vehicle turned around to head back my way. To my surprise it was a female driver who had compassion enough to assist me while the other 3 vehicles in which I noticed were males had no compassion to help. I like to thank Shannon for pulling over to help. In this crazy world of dangerous people, she thought of someone else in need, she was a blessing! Thank you Shannon, you were my Angle in a time of need. Since it's been a few weeks since my last blog, I figured I write something while I have some time. I've done several weddings and birthday parties since August and I currently booked from now through April next year (2018). I'm getting ready for the Bridal Extravaganza in January in Austin, Texas. I'll be in attendance meeting brides to be and other venders, I can't wait! It's been a wonderful year, 2017!!! I completed my last wedding last night in College Station, Texas to close out the year. It was a great night!!!! In a few weeks I'll be attending the wedding show in Austin, Texas on 6 & 7 January then get ready for bookings already scheduled on my 2018 calendar. Thank you to all the newlyweds for the trust and opportunity to DJ your wedding and or reception in 2017! It was my pleasure! Thanks to all birthday parties and school functions I've had the opportunity to DJ for in 2017! It was my pleasure! I'm looking forward to new opportunities and experiences in 2018! May everyone have a wonderful 2018 and beyond! The year is starting off strong!!! Your in the mix with DJ Ptch Blaq! 2018 calendar's bookings are going quickly, weddings, school festivals, shows, ets. I've started bookings already for 2019! Hope to see you when I can. I was fortunate enough to DJ a wedding on 3 March 2018. The reception for the evening was off the chain! The dance floor was literally packed all night long, nonstop. Everyone was great, friendly and ready to dance. We jammed to Hip Hop, Latin, Country, Oldies and Top 40. Guest of all ages were celebrating with the bride and groom. I really enjoy helping clients with their musical needs! Today, I was asked a question. "Why did I start my DJ business"
This question was easy to answer. After years of producing music I needed to feed my love for music and revisited an old hobby. One day I thought to myself, I want a DJ company. This idea started in San Antonio, Texas. A classmate and I were walking during PT (Army workout). We discovered we both produced music. During lunch one day we went to a music store, once in the store he went he went his way and I ventured off to the unknown. I found myself walking through the audio department's in the DJ area. This equipment immediately caught my eye! I dabbled with DJing before but the modern equipment was better looking with all the knobs and lights compared to the equipment of yesterday. I stopped strolling when I came across a DJ controller. I was memorized... Eyes open wide, lips quietly saying wow! On our way back to base I told my classmate, "I'm gonna start my own DJ company". Today, my business is up and running. I'm venturing into a different aspect in the music business. Meeting new people, networking and playing music. It's not a job, It's a joy to DJ. I've recently talked to a few new clients and a few mentioned thinking of just playing music through an iPad or using Spodify. This is a great idea if your home relaxing with the family and friends, but if your having a formal setting such as a wedding, birthday party or other special events, having a live DJ is the best decision. An iPad or other music media is a great thing to use in playing music. I as a DJ use an iPad during a wedding ceremony, cocktail and dinner segments but when it's time to really get the party jumping, I turn to the DJ setup. A good DJ is able to read the floor and the guest. Over look the guest and play music everyone can enjoy. A good DJ is continuously reading the floor, the seated guest and others not dancing. The DJ then try's to engage everyone by again, playing songs to get the majority of guest on the floor, even the shy ones. The iPad and Spodify has it's place but they can't replace the DJ. The one that is constantly trying to pack the dace floor or rotate dancers from high jumping to slow romance then back to high jumping, waving hands and hand having fun. You want a great party setter, plan for a DJ, don't program a player to shuffle a playlist, you want your music to surprise (having a DJ) not a demise (shuffling songs that don't work for the moment). A friendly advice from DJ Ptch Blaq! Crusin' for a Cause at Wolf Ranch in Georgetown: Register Your Vehicle Now! Come and show off your cars for a good cause. Wolf Ranch Town Center in Georgetown is inviting all Central Texans to come out and support Crusin’ for a Cause. The event takes place on Saturday, September 29th from 10 am to 2 pm. The car show will raise money for the American Foundation for Suicide Prevention. Wolf Ranch Town Center is asking all Central Texas vehicle enthusiasts to sign up now, so organizers can prepare for the big event. Please click HERE to register your car today. Vehicle owners are simply asked to make a donation to the charity to enter their vehicle, and awards will be given out for Best of Show (wins a trophy and $100 visa giftcard) and Best Engine; Best Wheels; Best Interior and Best Paint each win a trophy and $50 visa gift card. 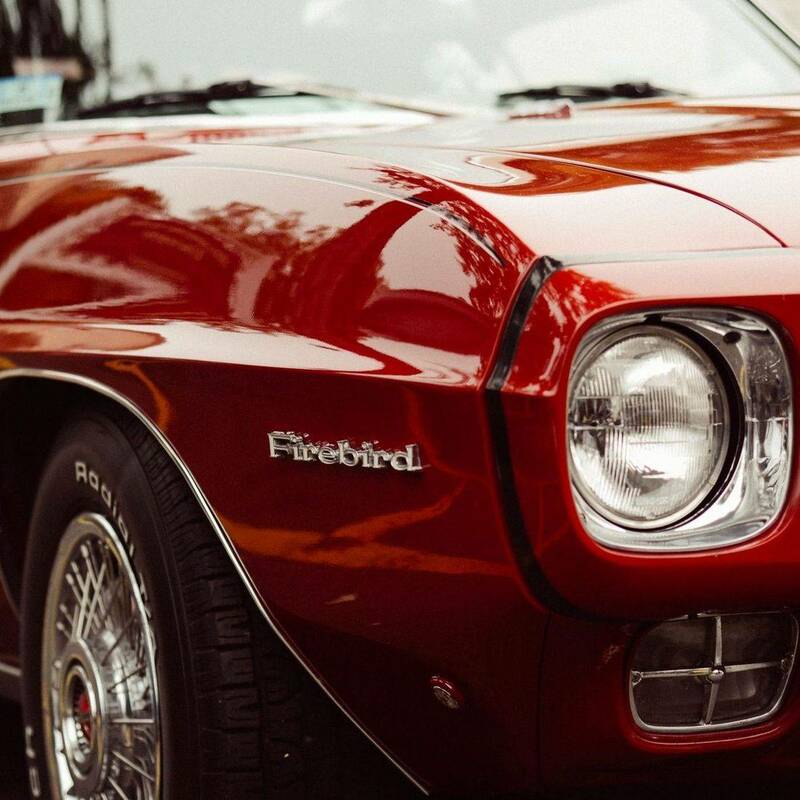 Wolf Ranch Marketing Director Jennifer Frith lost her brother to suicide 12 years ago and wanted to do an event at the shopping center that let the local community come out and show off their prized cars and at the same time raised money for a charity close to her heart. During the event, guests are invited to stop by the American Foundation for Suicide Prevention’s tent and decorate a tile in memory of a lost loved one. After the event, Wolf Ranch will create a little memorial garden area with the tiles. The event will also have East Side Boiler’s food truck and an ice cream truck; DJ Ptch Blaq; and face painting. We all have them, the well-meaning and/or overly opinionated friends that just cannot help themselves, crosses the proverbial line, and becomes too much at times. When it comes to a wedding, this particular friend cannot help but insert their opinions and vision for your special day. In an article on Brides.com (August 2014), Amber Ray lists three kinds of Bridezillas: The Marriage Expert, The Critic and The Hot Mess(es). The titles are self-explanatory, so I will dive into The Hot Mess from the DJ aspect. As a DJ, our goal and only purpose is to create the musical vision for your wedding day that you have always dreamed of, the full dance floor, the enjoyment of your guest and the special dances. The DJ is essential to keeping up the mood of the party and must be able to play to the audience while still staying within the music genres indicated by the host. We take pride and work with our clients to learn the genres, specific artist(s) and songs they want for their celebration, what special moments should be captured with song and to which song and of course the emcee needs. Our client feedback becomes the outline and we build upon it. During the special day, it is common to receive song request from guest and as long as the music is within the genre and not listed on our client’s “do not play” list we are happy to try to accommodate. With this shared, the Friendzilla perceives them self to know what is best for the celebration and is all too willing to tell the DJ how to do their craft. The Friendzilla will become loud, obnoxious and too often once drinking, nasty in effort to get their way. We very recently had a Friendzilla who took to these tactics in a big way. This individual felt they knew better than the Bride and Groom and demanded a genre for the reception on the “do not play” list. While sharing with them the wishes for the host they became vulgar and verbally abusive. This particular nuisance could not refrain them self from repeat trips to the DJ area to demand their wants, and grew bolder including during the emcee and songs for the special dances. Literally, we had to stop the announcements of the dances to prevent the other guest from hearing the vulgarity of this individual bleeding through a mic; they were unfazed when we instructed them, “Trying to do the bridal dances”, and “you need to stop”. Of course, politeness does not work with them and the word no only fuels a Friendzilla; they are too self-absorbed to see it is not their day and not their celebration so they will try to recruit others to join their plight. Yes, as did this one. A suggestion for keeping the Friendzilla from being a damper on your party, hire a wedding coordinator who can help manage the guests. If not a coordinator, ask a family member to be point person to assist in guest affairs for the day. This particular Friendzilla and their intoxicated recruit’s behavior would have been short lived and squashed by a coordinator or guest officiant.